The case was closed for lack of evidence for four of the ten politicians who were targeted and probed. The same is expected to happen for another five. 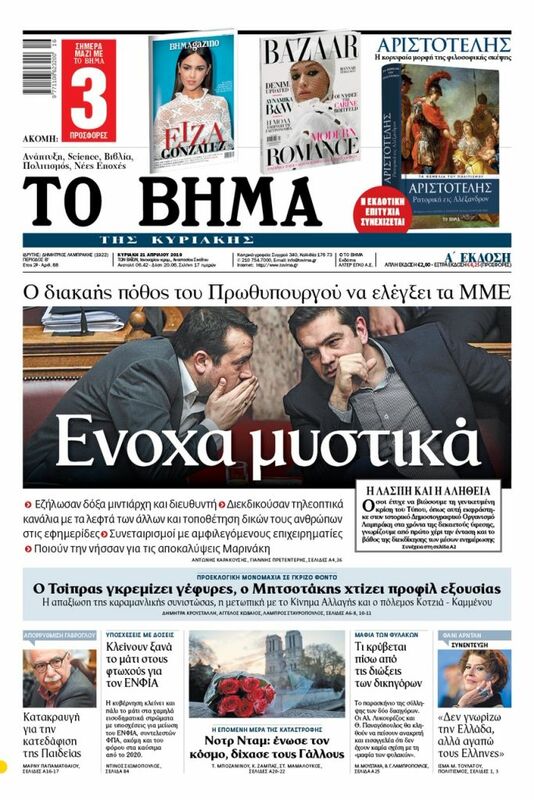 The affair that a SYRIZA minister had described as “the biggest scandal since the establishment of the Greek state” is turning into a political fiasco. In only one case, that of Movement for Change MP Andreas Loverdos (Pasok), the judiciary has asked Parliament to lift his immunity so that he can testify as a suspect for possible bribe-taking. He has not been charged. Sources in the Corruption Prosecutor’s Office say that no suspicious funds, properties, or transactions were found in any of the ten cases. It is at least peculiar that after an investigation lasting many months prosecutors did not manage to wrap up all the cases. Half of them are still open and those politicians are being held hostage politically in a campaign period. It is also odd that some consider the testimony of the protected witnesses who made allegations against the politicians as lacking credibility while others believe that further investigation is warranted. This situation allows the government and media which have been assigned the role of publishing leaks to continue their scandal-mongering and political exploitation of a judicial case. For over two years SYRIZA and PM Alexis Tsipras personally had invested politically in the Novartis affair with the obvious objective of harming their political opponents. With rumours and the testimony of protected witnesses two former prime ministers (Panagiotis Pikrammenos, photo, and Antonis Samaras) and eight former ministers were implicated in the case. The investigation so far has shown that the allegations of bribe-taking and money laundering are unfounded. Suspicious funds were not found in their bank accounts, politicians were dragged through the mud. Meanwhile, the real scandal involving the inflated pricing of medicines and pharmaceuticals has not been touched. The country and its political system were degraded. 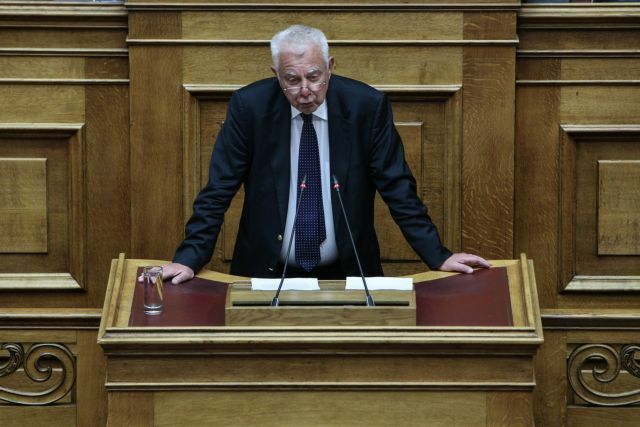 SYRIZA used the judiciary as a tool in order to rid itself of annoying political opponents. It is the responsibility and duty of the judiciary to clear things up in this sorry affair as soon as possible. One cannot perpetuate suspicions and allegations against politicians in an electoral period. If there is real evidence, responsibility should be attributed. The game of hide-and-seek with rumours, tailor-made press reports, and testimony that lacks credibility cannot go on.